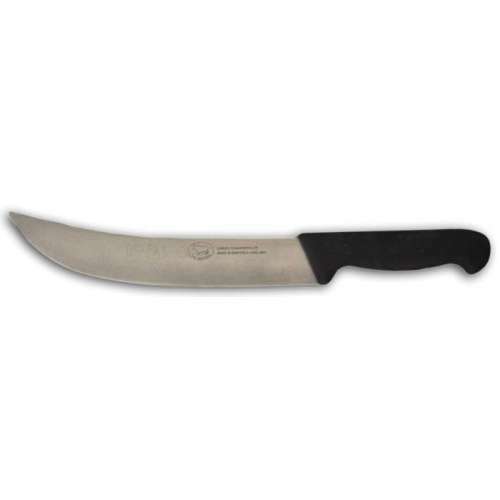 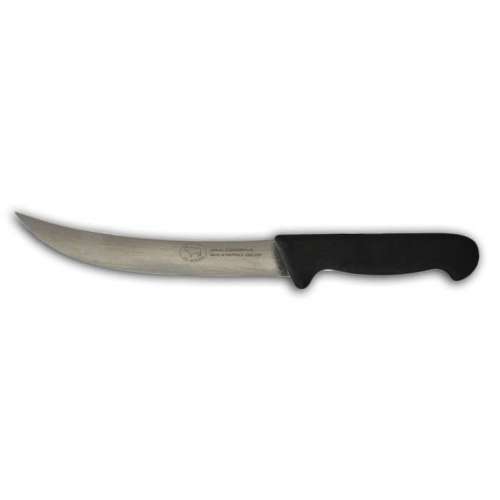 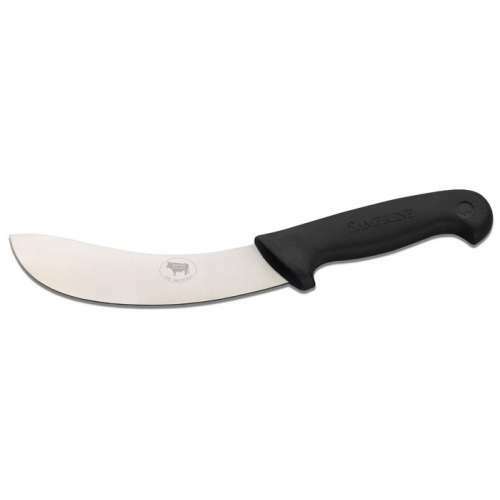 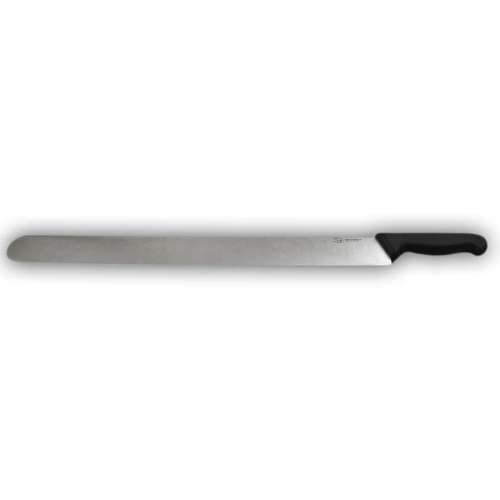 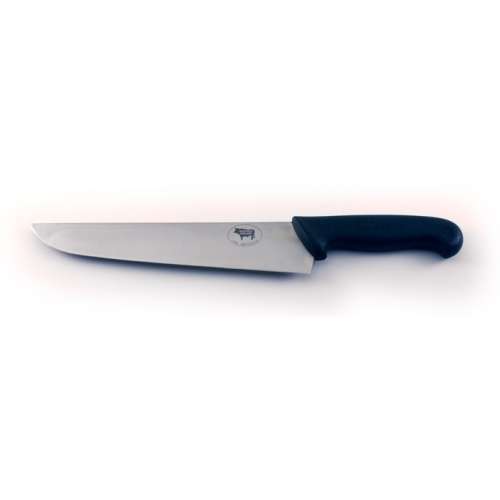 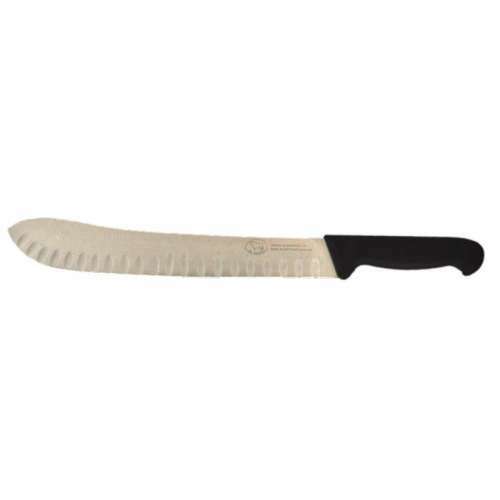 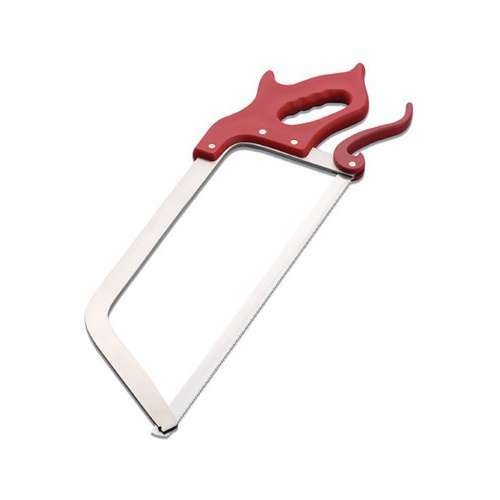 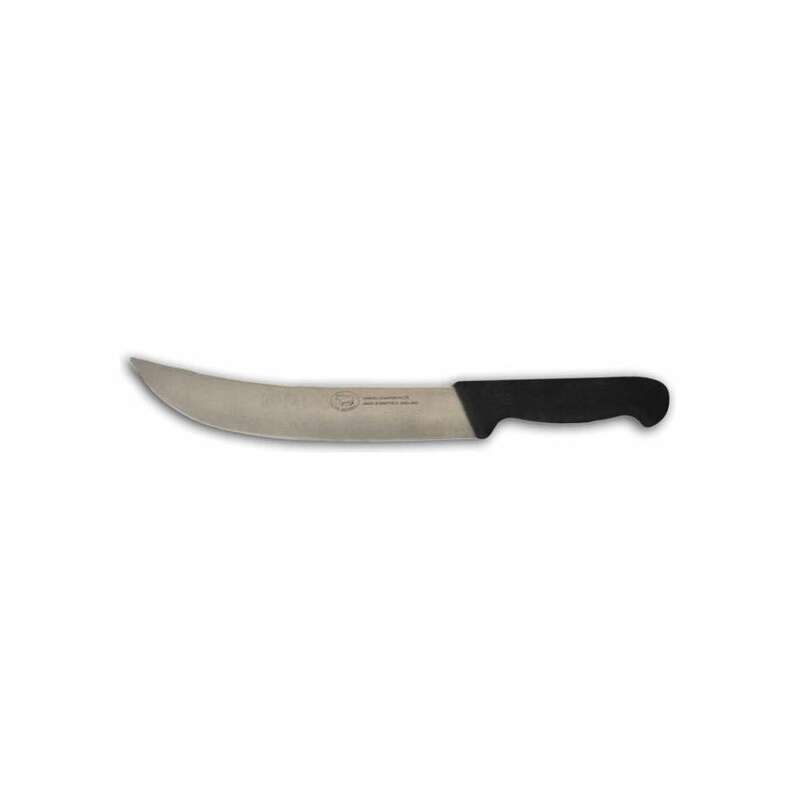 The curved cimetar butchers knife is the ideal knife for slicing those large meats, such as roasts or Turkey crowns. 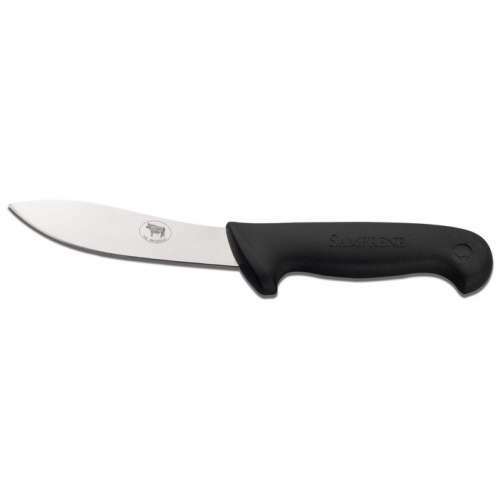 The long blade and the curvature of it allows full blade use and precision cutting. 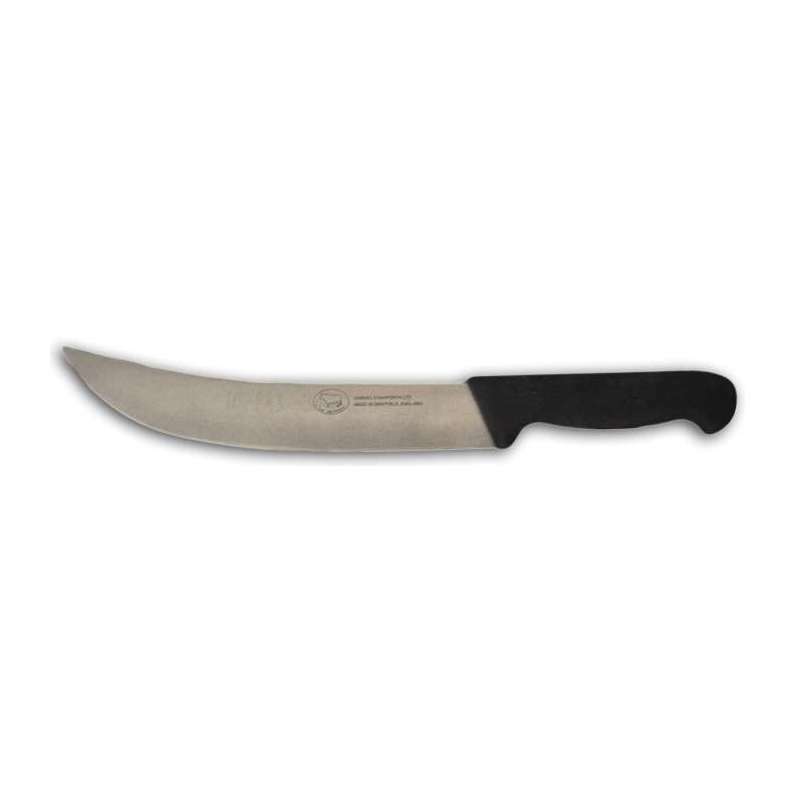 The curved cimetar butchers knife is the ideal knife for slicing those large meats, such as roasts or Turkey crowns. 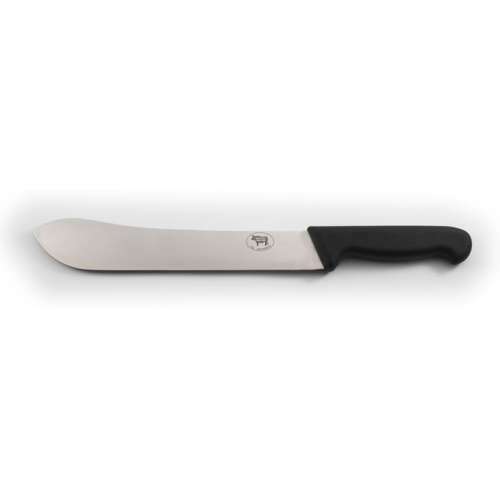 The long blade and the curvature of it allows full blade use and precision cutting. 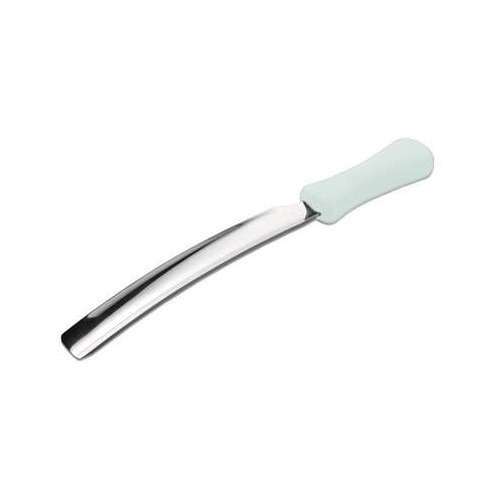 The handle is made from our polypropelene which allows for a safe, secure and comfortable grip. 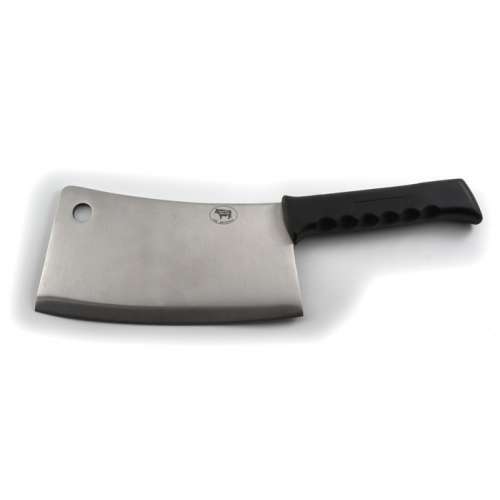 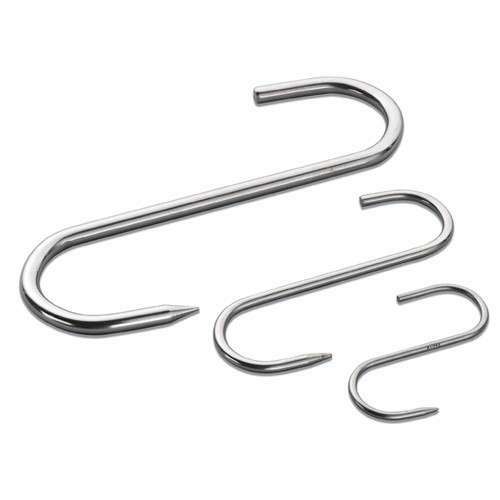 The steel used is high carbon, 420 stainless steel (really good steel), which exhibits excellent strength and durability.